2012 TransRockies RUN3 Champion Alicia Shay is the official coach of the TransRockies Run. Alicia is now offering 18 and 22-week training plans for this year’s RUN3 and RUN6 stage races. 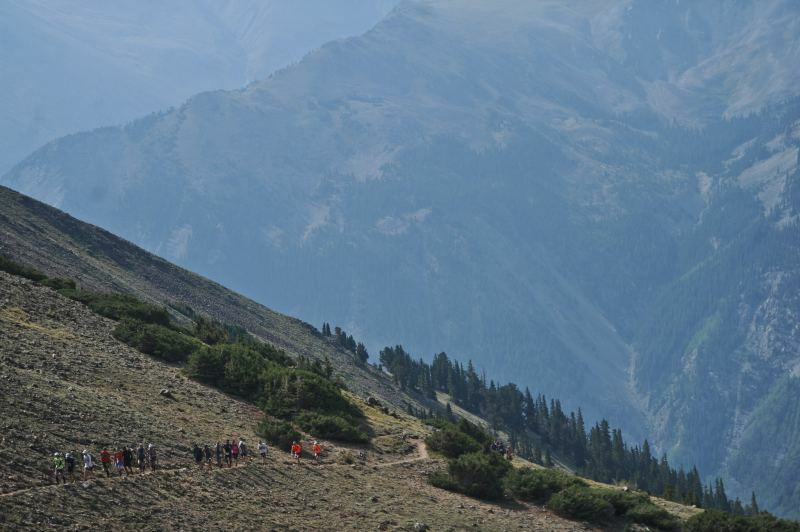 TransRockies events are some of the most organized and scenic races in the world. Preparing for a stage race in the mountains of Colorado is a huge responsibility. The RUN6 covers 120 miles in six days with 20,000 ft. in elevation gain. It is truly a once in a lifetime experience. 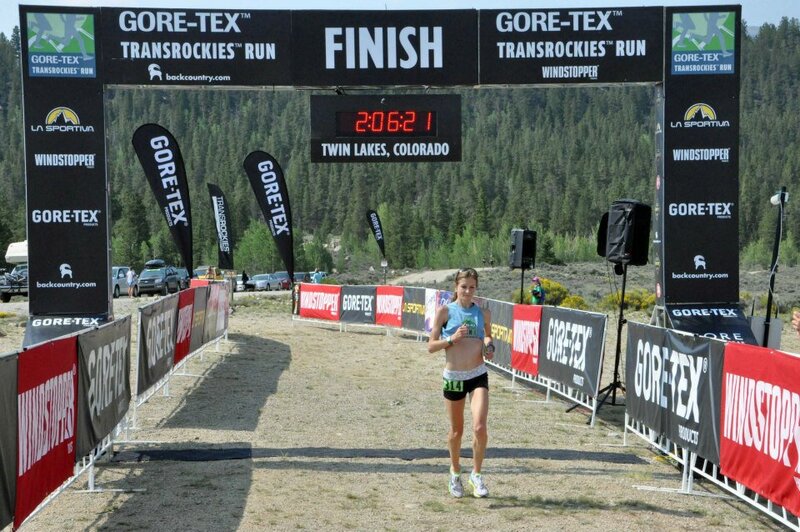 Big congrats to Run SMART coach Alicia Shay after winning the Transrockies Run3 trail stage event. This was Alicia’s first stage event ever. Read the whole report on Transrockies-Run.com. Shay was all but unstoppable over the 3 days and managed yet another dominating win, by over 16 minutes, at 3:15:58. She would finish the 3 days and 58.4 miles in a combined time of 8 hours and 26 seconds, almost 47 minutes ahead of 2nd place finisher Gina Lucrezi. Get Psyched! TransRockies Training Starts Soon! With only 23 weeks left until the TransRockies Run two-time champ Mike Smith is excited for you to begin your training. Get psyched: Do you know how much fun this is going to be? Do it right: The challenge is before you: preparing yourself for either TransRockies 3 day or 6 day stage race through the Colorado Rockies this August. The absolute best thing you can do is start thinking about your preparation now, an unrushed training plan is the safest way to progress forward and stay injury free while allowing your body to adapt to your training. Don’t expect perfection: No matter how good a training plan looks on paper, executing it will not be perfect. There will be tough days, unplanned for interruptions, or times when life gets busy at just the wrong time. This is every TransRockies participant’s reality. Look at a training plan as a best case scenario and know even before your first step that all you can control is your best effort, do not waste a moment of worry on wondering if everything will go as planned: it won’t. Open your mind: TransRockies is an unconventional race, so the training for it is unconventional too. We’re going to bend some rules and break some laws. Our training is designed specifically for this event: the course, the mileage, the terrain. There will be times when you have to trust the training. Enjoy the journey: The training to get to TransRockies can be just as fun as TransRockies (and if you haven’t yet been, TransRockies is FUN). Before your first step look what you’ve already done: you’ve signed up. You’ve committed to exploring your limits. You chose to listen to the voice that said “I think I can do this” instead of the one that said “you’re nuts for trying this.” Now you have a spring and summer ahead of you of exploring new trails, watching your body progress, seeing the goal get closer, realizing it all is possible. You’re going to pull into Buena Vista with a smile on your face knowing that you prepared for what’s ahead, and then TransRockies becomes a week of celebrating all your hard work. Get your TransRockies Training Plan today and learn some of two-time champ Mike Smith’s tricks of the trade! Sign up by March 10th to start your 22-week schedule on time or by April 6th for an 18-week schedule. 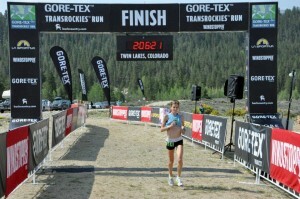 Big congrats to Run SMART coach Mike Smith and teammate Jason Wolfe for winning the Transrockies Run. The dynamic duo finished almost 22 minutes ahead of second place in 14:57:23.7 after 120 miles of running, nearly 25,000 feet of elevation gain and altitudes of over 12,500 ft.
We’re extremely proud to announce that in her first Transrockies experience, Run SMART client Erin Strout finished 6th overall in a total time of 11:27:51. In the RUN3 distance Erin covered 58.4 miles with 8,600 feet of elevation gain over three stages. For information about the grueling nature of the course check out the course profile here and for our rock star’s results go here. Erin works with Run SMART coach Mike Smith. Not a bad coach to have when you’re preparing for Transrockies. Mike and teammate Rob Krar won the race back in 2009 and Mike and teammate Jason Wolfe are currently leading after Stage 4 of the overall. The report from Stage 1 of Transrockies is up now.